THE FIRST EVER AIR PARK IN THE USA! 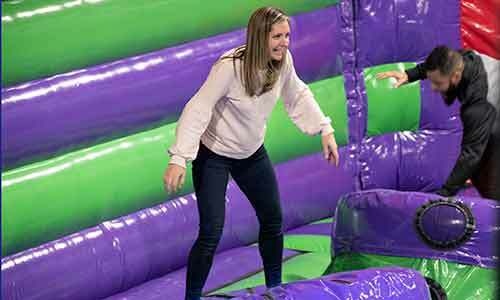 Fun Fueled For Adults & Kids! ENERGIZE YOUR FUN! 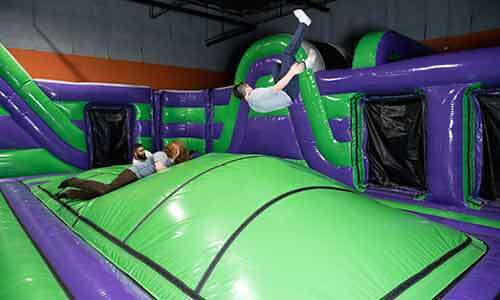 BE A KID AGAIN AT THE AIRPARK! Our Londonderry XtremeCraze location features an enormous inflatable park that's fun for both kids and adults. It's the first of its kind in the United States! AND it's enormous at 10,000 square feet! 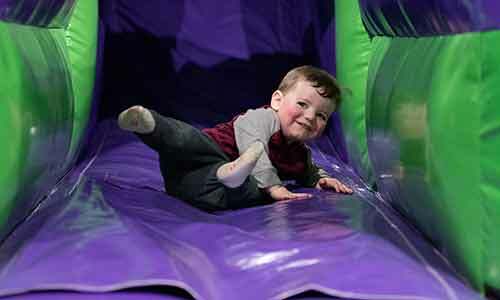 The park includes slides, an extreme drop slide, tunnels, climbing wall, an obstacle course, giant bounce airbag and other inflatable features. Sessions fill up quickly! Reserve your time now! BOOK YOUR SESSION TIME NOW! AirPark Sessions Fill Up Quickly. Each child 5 and under MUST be accompanied by a paying adult. Trampoline Park socks are not permitted. Long pants and long sleeves are advised to avoid friction burns on slides. Non-Toddler Exclusive sessions involve kids and adults of all ages. We strongly recommend reserving your session before you come to the AirPark. Don't miss out on the fun! Like nothing you have ever seen before! 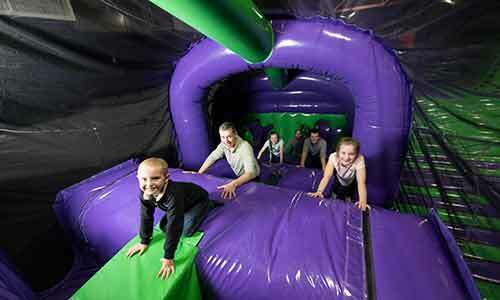 Activate your springing, bouncing, sliding genes and delight in transversing this giant inflatable arena. 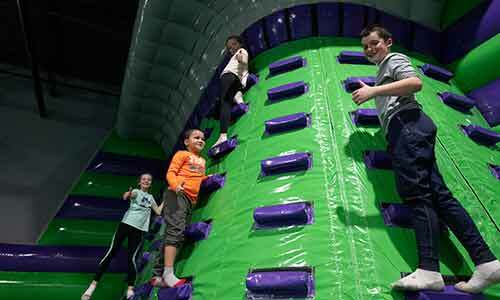 Conquer the huge climbing wall, speed down an extreme drop slide and more. 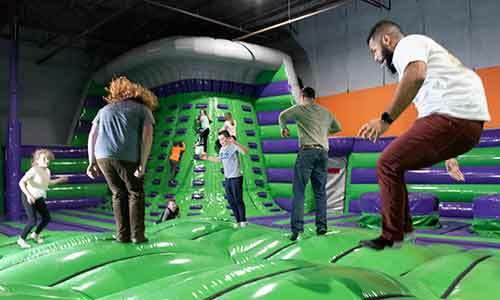 Experience fun-fueled activities for adults & kids! 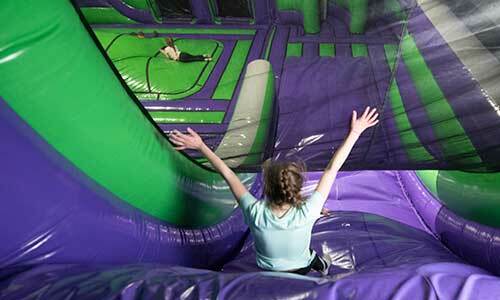 Our XtremeCraze Inflatable Air Park has a huge range of fun-filled indoor activities. Our arena appeals to kids of all ages and physical abilities. And grown-ups get to pretend they're not so grown up after all! COME PLAY AT THE AIR PARK!